Export to KML is an extension developed for ArcGIS 9.x by the City of Portland, Bureau of Planning. 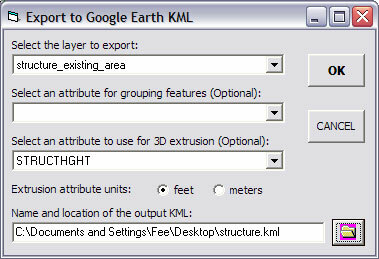 The extension allows ArcGIS users to export any dataset in “keyhole markup language” [KML] format for viewing in the free Google Earth data viewer. Any point, polyline, or polygon features, in any defined projection, can be exported. 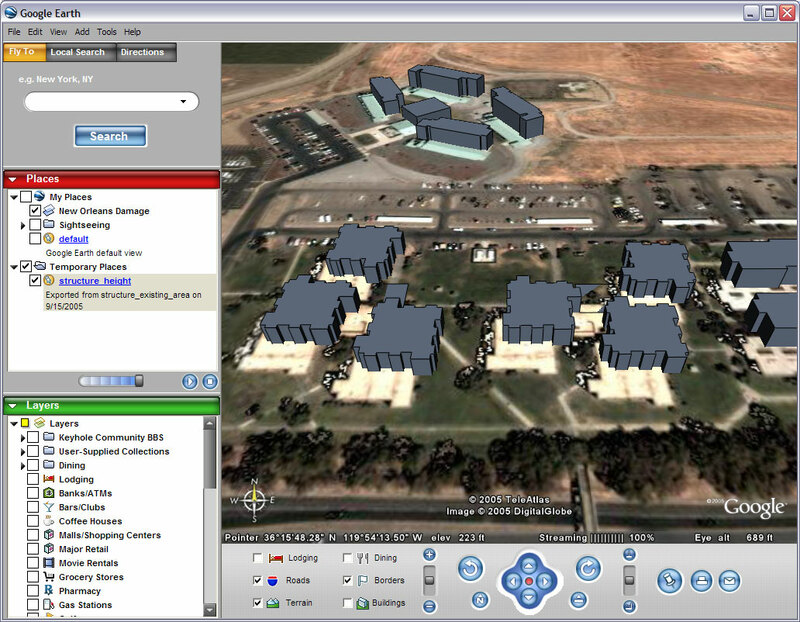 Features can be “grouped” by an attribute for creating categorical symbology in Google Earth. Features can also be exported as 2-dimensional features, or “extruded” by an attribute (or, in the case of true 3D features, by z-value). Kevin Martin over at the City of Portland Bureau of Planning just uploaded a new extension to export any dataset to KML. One problem with all these great tools for KML export is that they have all chosen to use the Google Earth icon on their toolbar. Kind of makes it hard to remember which one is which huh?